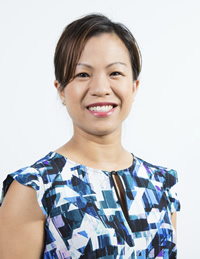 With a lifelong passion for helping people coupled with a love of science, Dr Vicki Foo found dentistry to be the perfect combination for her career. Upon graduating from the University of Western Australia in 2010 with honours, she’s spent her time bringing a comfortable experience to patients through personal and custom dental care. Dr Vicki enjoys learning about new dental technologies and completes continuing education courses frequently in order to bring patients the best results. When she isn’t restoring smiles at the practice, Dr Vicki enjoys hiking, tennis badminton and is a big fan of the Fremantle Dockers.